1. Raise oven rack to the highest shelf. Turn on broiler. Peel papery covers off of Tomatillos. Place the Tomatillos and Jalapeno on a half sheet tray and broil for 5 min. Or until they blister and start cracking. Then turn them over and roast the other side for another 3 minutes. 2. 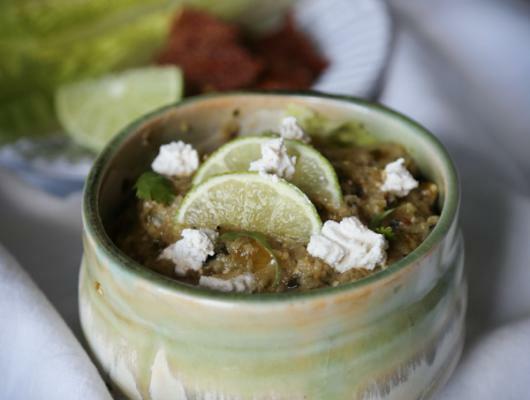 Transfer Tomatillo to the blender with half of the Jalapeno, cilantro, olive oil, salt, pepper, and lime juice. Pulse the blender and add the water one tablespoon at a time until you reach the desired consistency. 3. Stir in minced onion and season to your preference with more salt and pepper. 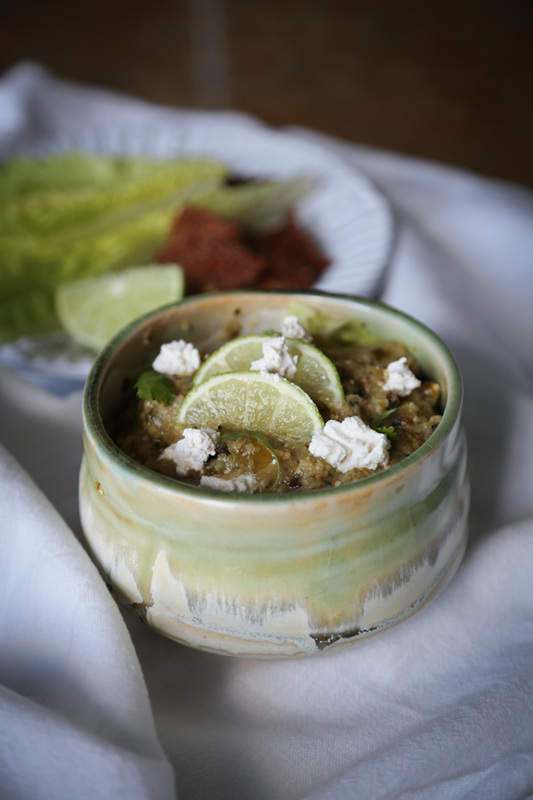 This Vegan Tomatillo Salsa is great to keep in the fridge as a snack or to serve when friends are over. Vegan and full of flavor. Make it as spicy as you like.